Africa’s Richest: Though the continent of Africa is rich in natural resources, most people view the large land mass as a place of poverty, war, and starvation. In reality, there is a huge amount of fluctuation from country to country with regards to wealth and quality of life. Nigeria, has emerged as one of the countries that is leading the pack with regards to having an international impact in the business world. 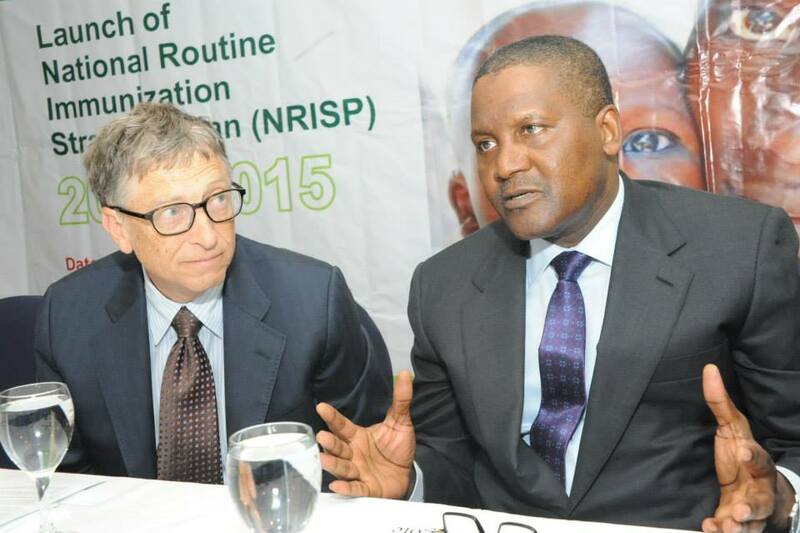 This increase in the country’s international presence is largely due to one man – Aliko Dangote. Mr. Dangote has a net worth of $ 10.5 billion, is the richest person on the continent of Africa, the richest black man on the planet. Aliko Dangote, CEO, Dangote Group, NET WORTH, $10.5B as of January 2019. 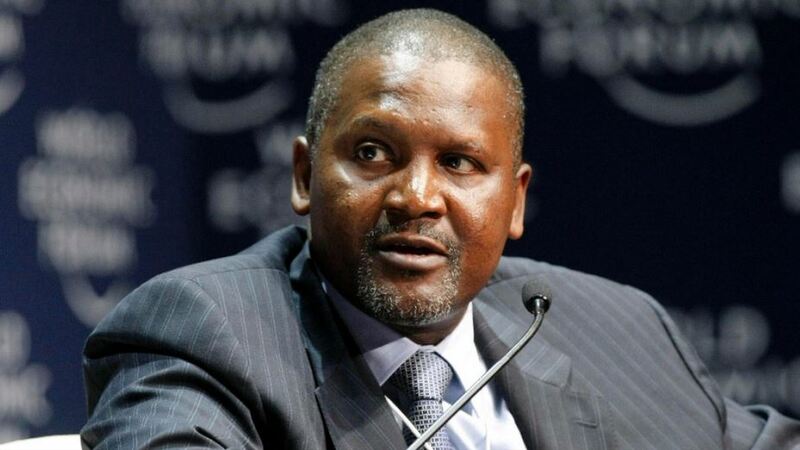 Aliko Dangote, Africa’s richest man, founded and chairs Dangote Cement, the continent’s largest cement producer. He owns nearly 88% of publicly-traded Dangote Cement through a holding company. Dangote Cement produces 44 million metric tons annually and plans to increase its output 33% by 2020. Dangote also owns stakes in publicly-traded salt, sugar and flour manufacturing companies. This means that Dangote is, by all accounts, one of the shrewdest businessman out there, and if he gets his way, he will most likely change the international view of Africa, and Nigeria in particular, in some very profound ways. Curious about where to invest your money in the future? Consider putting it with Mr. Dangote and his plan to make Nigeria an international superpower. Aliko Dangote was born in Kano, Nigeria on April 10, 1957. His family was well off. His great-grandfather had established one of Nigeria’s most successful peanut farms, and the family made a sizable fortune exporting peanuts to the Europe in the early 1900s. Entrepreneurship was in Dangote’s blood, and he began selling candy, for a profit, while still in elementary school. Fast-forward to today, and everything the 56-year old businessman is doing, is in service of his relentless quest to grow his wealth and the fortunes of Nigeria. 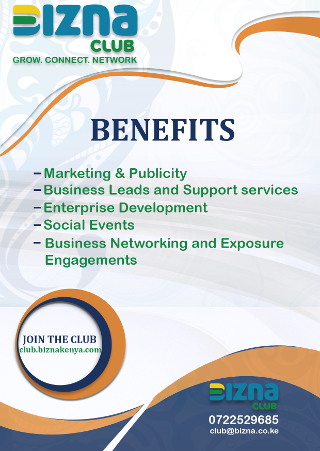 Initially, he focused on building his business presence. After graduating from Al-Azhar University in Egypt, with a degree in Business, he launched his first company, The Dangote Group, a trading company primarily dealing in cement. His family already had government connections, so he was able to secure the appropriate licenses quickly – a step that can often derail new ventures in Nigeria. Then he took his business elsewhere. He spent the next few decades working in South America, primarily Brazil. He made a major amount of money “cementing” Brazil, a country that was, and still is, on the rise. He bought multiple properties around the world, including homes in Atlanta. However, he ultimately decided to return to Nigeria, and to focus on bringing business to his home country. In the late 90s, he returned to Nigeria, where he backed the People’s Democratic Party. After the PDP won the election, he used his clout to secure an agreement to build the biggest cement factory in the world — with the stipulation that the government would limit how much cement could pass through Nigeria’s ports. They agreed, and suddenly, Mr. Dangote had taken his internationally successful cement business, and turned it into the only game in town. He spent $1 billion building the mine and an airstrip to go with it. The company opened in 2008 and was an almost instant success. He currently has 25,000 employees in Nigeria, as well as operations in 14 other countries across Africa. Cement was only one aspect of the plan, however. Dangote has been growing The Dangote Group bit by bit for the last decade. The seemingly unflappable businessman has made a concerted effort to secure control of any resource or food that could be produced internally, instead of imported. He now runs successful food processing, manufacturing, and freight arms, controlling the Dangote Sugar Refinery, Dangote Cement, Dangote Flour, and a salt mine. The sugar refinery has been especially successful, and 70% of the sugar used in Nigeria’s beverage and candy business comes from The Dangote Group. It is the largest sugar refinery in Africa and the third largest in the world. He also controls a large portion of Nigeria’s export of cocoa, sesame seeds, ginger, cotton, and cashews. In addition to his food and cement-related ventures, he has also poured money in to real estate, textiles, transport (he manages the Central Bank of Nigeria’s fleet of busses, for example), and telecommunications. He is currently in the process of laying nearly 8700 miles of fiber optic cable across Nigeria. He has created so many new jobs in Nigeria, that he has received multiple honors from Nigerian business associations and the government, including the Grand Commander of the Order of the Niger presented by the President of Nigeria. It is the second highest award that can be given to a Nigerian. How powerful and important is Aliko? Put it this way, when Bill Gates travels to Africa, he stays with Aliko Dagnote. The two are very close friends are are working on several projects to address poverty and disease in Africa. When Aliko talks, Bill listens. He’s not one to rest on his laurels, however, and he is only now embarking on his grandest plan for Nigeria – to make it an oil powerhouse. He has negotiated massive and unprecedented loans from Nigeria’s banks, amassing over $3 billion in loan money. (At interest rates lower than those offered to the government, no less!) He has poured this money into building a $9 billion oil refinery in Nigeria. It will be the largest privately owned refinery in the country. Nigeria is Africa’s largest producer of oil, but because the refineries in the country are rundown, inefficient, and often poorly managed, the country ends up importing the majority of its motor fuel. At the same time, the entire continent is seeing an increase in buying power, and suddenly cars are becoming more commonplace. Additionally, new airlines are being launched in Africa almost monthly. Due to the shortage in fuel, some of the new airlines have taken to putting kerosene in their tanks! Dangote’s ambitious, large, state-of-the-art refinery near Lagos is being built with the idea that he can change all that. He plans to have it up and running in two years. If he succeeds, the refinery will have a major impact on the country’s wealth, and explode his net worth, as well. Right now, the only thing standing in his way is a few pesky licenses from the Nigerian government. They currently (poorly) control all of the major refineries in Nigeria, and they are not too interested in competition. However, if anyone can make it happen, it is Aliko Dangote. Africa has customarily been a continent from which things have been exported – goods, diamonds, people – whether willingly or not. Aliko Dangote is flipping the script. He recognizes that the same resources that Nigeria, and other countries in Africa, have sent away for centuries, could instead serve to raise the fortunes of the entire country. However, the infrastructure to process them has to be in place. He is almost single-handedly working to provide that infrastructure. His plan seems to be working, and it will be fascinating to watch what he is able to accomplish over the course of the next decade. There has been much talk about Russia and China emerging as oil and manufacturing superpowers. Aliko Dangote, with his ventures in cement, sugar, phones, textiles, and now oil, is making a very strong case for Nigeria, as well. Armed with brains, ambition and a $25 billion war chest, Aliko Dangote has placed his bets on Nigeria and himself. If his goals come to fruition, even to a moderate degree, we will quickly see Mr. Dangote rise in the ranks of the world’s wealthiest people. And if things really work out, there is a possibility that within a decade, Aliko will be the wealthiest person on the planet. Should be very interesting to watch!